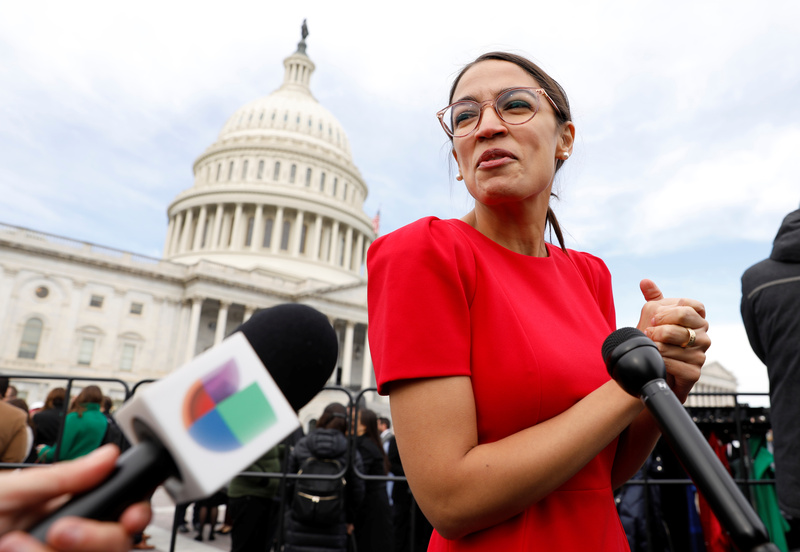 Democratic New York Rep. Alexandria Ocasio-Cortez’s newly-released “Green New Deal” resolution has gotten a lot of attention for its 100 percent renewable energy goal, but the bill also vaguely references another source of emissions. Certainly, environmental groups have increasingly called for getting beef out of people’s diets in the name of the climate, but there are legitimate worries doing so would be a net negative on overall public health. Some scientists have looked into reducing flatulence from ruminant animals. The U.S. government funded a 2014 study to find out why some types of sheep burped and farted more than others. The Obama administration released a plan to clamp down on methane emissions in 2014, which included programs to cut emissions from dairy operations. Republican lawmakers worried the Obama-era effort could have resulted in new regulations or taxes on farmers. Methane is a more potent greenhouse gas than carbon dioxide, but makes up a much smaller slice of America’s emissions profile. Natural gas systems and landfills also emit methane, which Democrats and environmentalists want to regulate more.